Bauer Optics have a metal frame construction.Promotional Bauer Optics. 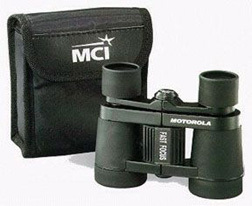 Black rubber compact binocular. 4 x 30 magnification. Budget line binocular for indoor or outdoor use. Great for theater. Includes carrying pouch and neck strap.